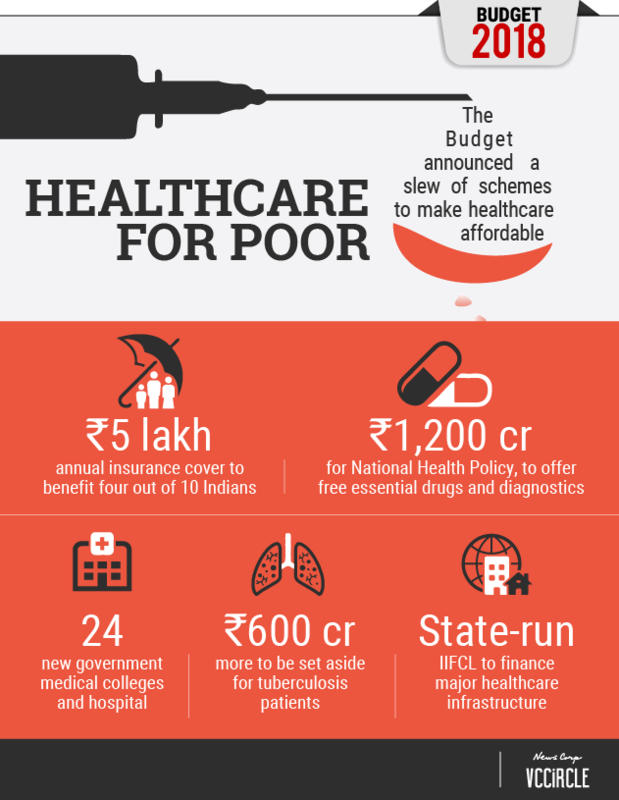 Finance Minister Arun Jaitley, on Thursday, announced the flagship National Health Protection Scheme (NHPS), which aims to provide an annual health insurance cover of Rs 5 lakh, each, to 100 million poor families, or about 500 million people. The NHPS, which will primarily bear the cost of secondary and tertiary hospitilisation, will be expanded further, said Jaitley. Touted as the world’s largest government-funded healthcare scheme, Jaitley’s announcement during the Union Budget 2018-19 has been lauded as “transformational” by India Inc. The finance minister also committed Rs 1,200 crore for the National Health Policy, 2017. Under the policy, 150,000 centres will provide free essential drugs and diagnostics to bring healthcare system closer to people’s homes, he added. Jaitley expressed concerns over the huge out-of-the-pocket expenses of the people in India, and said that the government will also look to invite private sector contribution. According to Jaitley, the two health sector initiatives under the government’s Ayushman Bharat Programme will build a New India 2022 and ensure enhanced productivity, wellbeing and avert wage loss and impoverishment. “These schemes will also generate lakhs of jobs, particularly for women,” he said. “We think this Budget is a transformational one for the overall healthcare industry. The introduction of medical cover for each under-privileged family will provide increased growth opportunities to the whole spectrum of healthcare businesses, including providers of services and products,” said Amit Varma, managing partner at healthcare-focussed private equity fund Quadria Capital. Dharminder Nagar, promoter and managing director at Creador-backed Paras Healthcare, agreed. “The Budget is fantastic for the sector. If it is implemented as per its intentions, it will transform the sector.” Nagar said he would not try and pick holes in the Budget as far as healthcare sector goes given that the initiative was “such a transformational step”. “Overall, this has been a pro-people and a pro-poor budget. For the first time, universal healthcare has got the impetus it needed,” said Ameera Shah, promoter and managing director of pathology chain Metropolis Healthcare, which is backed by private equity firm Carlyle. The government also proposed to set up 24 new government medical colleges and hospitals by upgrading existing district hospitals. 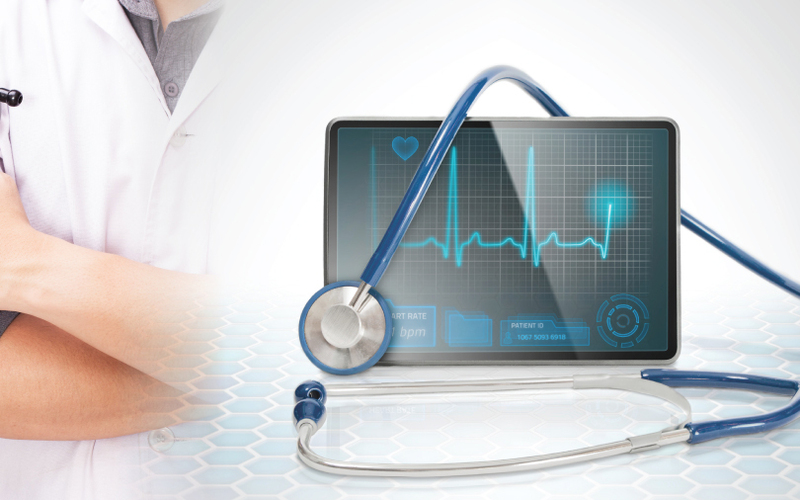 “On the supply side, the new medical colleges would go a long way in bridging the gap between demand and availability of skilled talent, which has been a barrier to growth in the past,” said Quadria’s Varma. “The government has provided growth impetus for the sector, which was much required in the backdrop of recent headwinds that the sector has been facing,” he added. The finance minister also announced the Revitalising Infrastructure and Systems in Education (RISE) by 2022 to step up investments in research and related infrastructure in premier educational institutions, including health institutions. The government proposed to allocate an additional Rs 600 crore to provide nutritional support to all tuberculosis patients. “A patient will receive Rs 500 per month for the duration of their treatment,” Jaitley said. To provide relief to senior citizens, the government also increased the limit of deduction under section 80D of the Income Tax Act, 1961, for senior citizens from Rs 30,000 to Rs 50,000. Premium payment towards health insurance policies qualifies for Section 80D. The Budget also proposed to raise the cess on personal income tax and corporation tax from 3% to 4% to fund education and healthcare needs of BPL and rural families. Further, the government will leverage the state-un India Infrastructure Finance Corporation Ltd to help finance major infrastructure projects, including investments in health and educational infrastructure, said Jaitley. The finance minister was presenting the last full budget of the Narendra Modi-led government before the general elections scheduled next year.